News articles regarding the Simple Solutions System. Improve your golf game. Check here for updated videos and more detailing the Simple Solutions System. Shop Online Now. Easy and secure checkout process. Order the Simple Solutions Kit online. 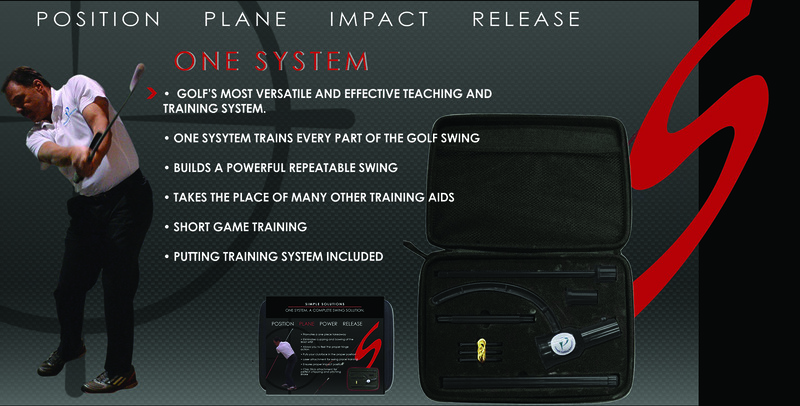 Golf’s most versatile and effective teaching and training system. One System trains every part of the golf swing. 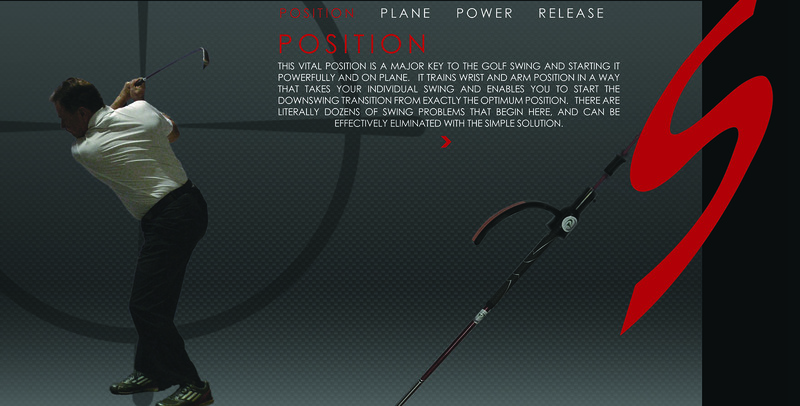 Builds a powerful repeatable swing. Takes the place of many other training aids. Short Game training. Putting training system included. This vital position is a major key to the golf swing and starting it powerfully and on plane. It trains wrist and arm position in a way that takes your individual swing and enables you to start the downswing transition from exactly the optimum position. There are literally dozens of swing problems that begin here, and can be effectively eliminated with the simple solution. Matching the proper plane through the impact area is vital in creating consistency and clubhead lag in the swing on plane. The Simple Solution combined with the simple laser offers instant visual feedback helping you find the perfect swing plane with proper lag at waist high on the downswing. 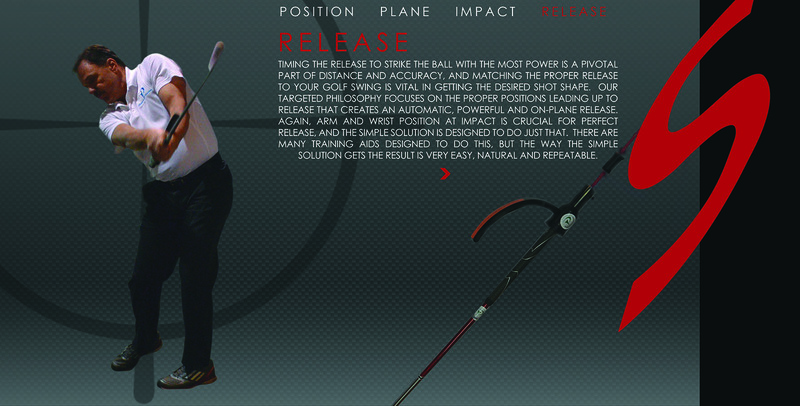 This creates a powerful and on-plane impact position while eliminating many swing and poor contact issues. Striking the golf ball and then the ground consistently has been the universal common thread for all great ball strikers. Regardless of the swing style, great ball striking is the result of great impact position. The Simple Solution effectively offers proper feedback on the wrist and arm position at this position. There are many aids trying to force this position, but the Simple Solution lets you feel it. You will know when it’s right and feel when it’s not. 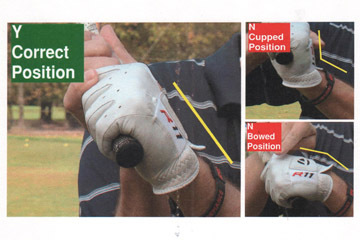 There has never been a training aid instantly able to help you feel the difference between hands at address and hands at impact. 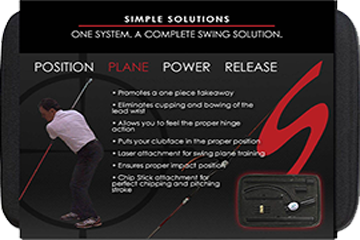 The Simple Solution trains feeling without forcing a position that may be unnatural for your own natural swing. Timing the release to strike the ball with the most power is a pivotal part of distance and accuracy, and matching the proper release to your golf swing is vital in getting the desired shot shape. Our targeted philosophy focuses on the proper positions leading up to release that creates an automatic, powerful and on-plane release. Again, arm and wrist position at impact is crucial for perfect release, and the Simple Solution is designed to do just that. There are many training aids designed to do this, but the way the Simple Solution gets the result is very easy, natural, and repeatable. 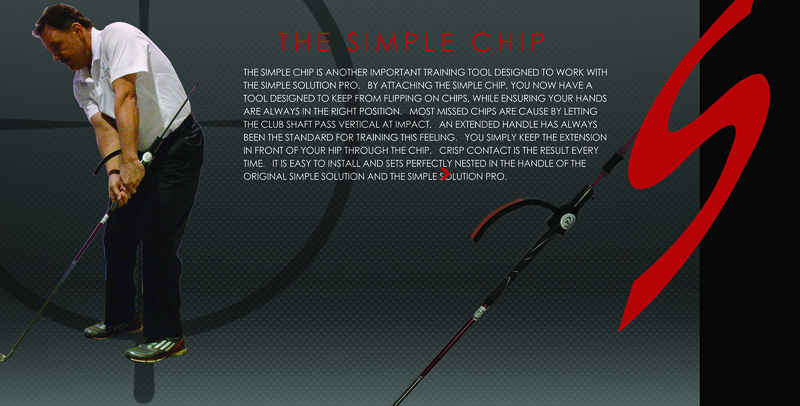 The Simple Chip is another important training tool designed to work with the Simple Solution Pro. By Attaching the simple chip, you now have a tool designed to keep from flipping on chips, while ensuring your hands are always in the right position. 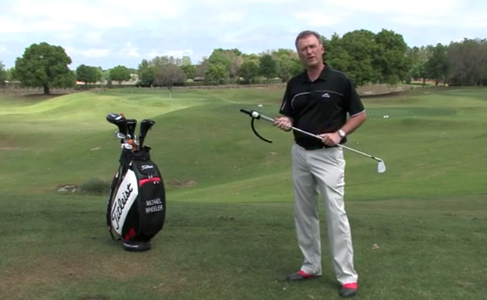 Most missed chips are cause by letting the club shaft pass vertical at impact. An extended handle has always been the standard for training this feeling. You simply keep the extension in front of your hip through the chip. Crisp contact is the result every time. It is easy to install and sets up perfectly nested in the handle of the original Simple Solution Pro.